Now, you’re probably wondering where to set up your baby registry. Having a registry is such a good idea for expectant and new parents. When you create a registry of items you want, it stops you from getting duplicate items, and gifts that you don’t need or that just aren’t your style at your shower. Registering essentially gets you the things you want and the stuff that you actually need! That’s certainly not the only benefit to creating a registry though. Most retailers offers discounts and free baby stuff such as free diapers and even free baby formulas. But, there are so many stores where you can register, both online and offline. So, where do you register? Well, start by looking at some of the biggest and most popular registry services. First of all: What should you register for? And, this is an important question too. Knowing what items you need to put on your registry can help you to choose which store or website to register with. After all, if you want to add an item to your registry, like bottles, for example, and a store doesn’t carry it, then you might not want to choose that particular retailer. First of all, big items, like strollers and nursery furniture should definitely appear on your registry. But, it’s not just the big stuff that should go on your registry. Day-to-day items are equally important. After all, the cost of seemingly inexpensive everyday essentials, like diapers and baby wipes, soon adds up. Plus, if you want to make sure that you don’t run out of things when the baby arrives, then stocking up on the everyday essentials is vital. No parent of a newborn wants to have to go shopping for supplies in the first week! So, think about the items you need and it will help you to decide where to register. What is the best place for a baby registry? Okay, so now you have a better idea of what you want to register for, it’s time to decide where to register. Below are a few of the best places for creating a registry for your baby. One of the best baby registry websites is the Amazon Universal Baby Registry. Amazon is one of the world’s most popular retailers, and with good reason. It’s easy to use, the prices are pretty low and you can basically find any product that you could think of on there. Setting up a registry on there is simple. You can choose to make it private, so that only you can see it or public, so that anyone can see it. Also, you can choose to share it, so that only people with a link to it can view it. A huge selection of products: There really isn’t a product you won’t find on Amazon.com. So, out of all of the stores that offer a registry service, Amazon is definitely the one that has the widest selection of items. If you want to make sure that your registry covers everything, then Amazon is definitely the store to go with. It’s unlikely that you won’t be able to find a product that you want to register for. Quick and convenient: Amazon.com is such an easy to search platform, and within just the click of a button your items are put onto your registry. Plus, if you’re a Prime member, shipping is incredibly quick. Free shipping: On orders over $49, you get free delivery. Prime members get free shipping on all orders containing Prime eligible items, with no spending minimum required. You can’t shop in-store: Amazon is strictly an online platform. So, if you, friends or family members prefer shopping offline, in an actual store, you won’t be able to. Amazon doesn’t have offline stores. Offering a wide range of products, from everyday items, like diapers to bigger items, like strollers, Target is definitely place where you should consider setting up a registry. It’s really easy to create a registry at Target. You’ll just need to enter a few basic details, like your baby’s arrival date and your name. You can also choose who can view your registry. There’s a box you can check or uncheck to set its visibility. If you check the box, then anyone can find your registry using your name and email address. If you uncheck the box, then your registry will only be visible to people that have a direct link for it. This means that if you want a friend or a family member to be able to view your registry, then you’ll have to provide them with a link to it. Once you’ve registered, you can easily add stuff to your registry online or even offline. Access to free stuff and discounts: You get a Welcome Box filled with $50 worth of free samples and coupons. Plus, Target gives you a 15% discount on anything that remains in your registry after the arrival of your child. You can shop online and in-store: This gives you, your friends and your family the option to shop either on the Target website or in-store, depending on your needs. Convenient locations: Target has 1,800 locations, meaning that no matter where you, your friends and your family live, there’s probably going to be a Target store nearby. Price match guarantee: When you register at Target you’re sure to get the best price on everything. It offers price matching on eligible items. Free shipping: Shopping online sure is convenient, but shipping fees can really bump up the cost, and quickly outweigh the benefits of shopping in your PJs. So, you’ll be glad to know that at Target your shopping budget won’t be eaten up by shipping fees. When you shop online, you can get free shipping, if you spend over $35. Or, if you can get free delivery if you choose to pick up your order at the store. Stock isn’t always consistent: Some stores stock certain items, but others don’t. So, the items stocked are not always consistent from store to store. Plus, some people report that products they want to buy online often go out of stock. Walmart is a good place to set up a registry. After all, its prices are already low and you get access to a wide range of products. Plus, there are plenty of ways you can save in store, just check out our article on how to coupon at Walmart and saving money at Walmart. What’s great about the Walmart baby registry is that not only is it really quick and easy to set up, but you can also use it from your desktop or mobile device. Free stuff: Walmart gives you a Welcome Box that includes free Walmart samples, when you create your registry. You can update your registry in-store and online: One of the best things about Walmart is the fact that it allows you add things to your registry both online and offline. This sets it apart from other stores on the list. You can visit the Walmart website to add and purchase products, or you can use the app to add products to your registry in-store. All you need to do is scan the barcode of the item you want, and it will be added to your registry. A good product range: Walmart offers quite a wide variety of products, although not as many as Amazon.com, meaning it’s a good place to set up a registry. Free returns: With Walmart you get free returns on everything. So, if you get something and it doesn’t quite meet your expectations or you decide you don’t need it, then it’s good to know that you’ll be able to return it for free. A price match guarantee: Like Target, Walmart gives customers a price-match guarantee. This means that if an identical product at a competitor store or in an ad is cheaper than it is at Walmart, then Walmart will match that price. Free shipping: Sometimes Walmart offers free two day shipping on eligible items. It’s always good when you can get shipping for free. There are no discounts: Unfortunately, Walmart doesn’t offer a completion discount, as other retailers like Amazon.com and Target do. And, at the time of writing, there doesn’t appear to be any other kinds of discounts available either. Babies R’ Us is one of the most popular baby stores out there. It offers a wide selection of items, from strollers to toys. Babies R’ Us baby registry is definitely a place to consider if you’re thinking of setting up a registry, as it does offer so many benefits. You can shop online or in-store: Unlike with Amazon.com, at Babies R’ Us you have the opportunity to shop both online and offline. Get money back on purchases: One of the things that sets Babies R’ Us apart from other stores is that it gives you between 5 to 10% cashback when you shop. That’s definitely one of the biggest benefits to registering at this retailer. Receive a completion discount: Like many other stores on this list, Babies R’ Us provides you with a discount on remaining items in your registry. Free shipping: If you shop online at Babies R’ Us, you get free delivery on orders over $29. You have to spend way less than you do at Amazon to qualify for free shipping, unless of course you are a Prime Member. There’s a price match guarantee in place: If you find an eligible, identical item in a competitor ad, then Babies R’ Us will match it. Products tend to be a little more expensive overall: Generally speaking, many items at Babies R’ Us tend to be more expensive than they are at other retailers, like Walmart and Amazon. But, if you factor in the cashback, then the prices might even out in some cases. Buy Buy Baby, like Babies R’ Us is a store that focuses on products for newborns and toddlers, unlike Target, Walmart and Amazon, all of which are more generic retailers. At Buy Buy Baby, you can find a plethora of items. You’ll find big ticket items, like cribs, strollers, changing tables, swings and high chairs. There are also plenty of practical and essential items, like bowls and plates, bottles, and mattress pads and covers. And, it also offers a good selection of every day products, like diapers, laundry detergent and bibs. So, it’s certainly one of the best baby registry stores. You get free stuff just for registering: As we explained in our recent Buy Buy baby registry post, when you create your registry, the store will give you a Goody Box. It’s essentially a welcome box that contains free samples and coupons. It’s always good to save money, so the coupons are a good touch, but it’s even better to get free samples! Overall, this is a pretty good incentive to register. A completion discount: As with most of the retailers on this list, you get a discount a few weeks before your baby’s arrival date. You get a completion coupon in the mail and to your email address. This gives you a 10% discount. You get free returns: What’s great about the store is that not only are all returns free, but there’s no expiry date for returns either. This is super generous and definitely one of the best perks you get for creating your registry at Buy Buy Baby. There stores aren’t as widespread as others: Compared to stores like Walmart and Target, and even Babies R Us, Buy Buy Baby’s physical stores aren’t as widespread. This means that if you or your gift-givers want to shop in-store, then you might not have a store nearby, meaning that you won’t be able to. Another store that offers a registry service is Kohl’s. At Kohl’s, you can find a plethora of items for your new arrival, like diaper bags, cribs, strollers, toys and clothing. A generous completion bonus: For three months after your baby arrives, you get 15% off thr items left in your registry. So, if there are items you still need or didn’t realize you needed before, then this is really useful. Gift-givers get a discount too: What’s great about the registry at Kohl’s is that it’s not just the registrant who gets a discount. Gift-givers also get one too. A gift-giver will save 20% when they spend $100 in-store on items from your registry. A wide selection of products: One of the biggest benefits of registering at Kohl’s is the wide range of products available. At Kohl’s you’ll find plenty of big ticket items, like cribs, car seats and strollers. But, that’s not all. You’ll even find essential items, like toys, diaper bags, clothing, and bottles. Free returns: At Kohl’s you can get free returns! 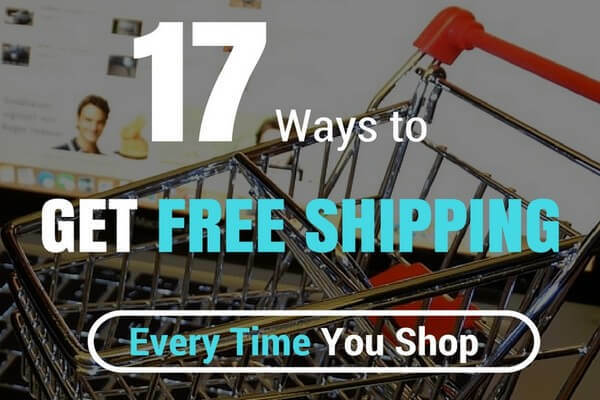 Higher threshold for free shipping: Compared to stores like Walmart, Target and Amazon.com, the threshold for free shipping is pretty high at Kohl’s. At the time of writing you or a gift-giver will need to spend $75 in order to qualify for free shipping. Compare that to the $49 you have to spend at Amazon.com, the $35 you need to spend at Target and the $29 you have to spend at Babies R’ Us and you can see that Kohl’s definitely isn’t the best retailer for low cost shipping. Pottery Barn is another store that provides a registry service. While it’s not a general retailer, like Target or Amazon, or even a child focused retailer, like Buy Buy Baby or Babies R’ Us, it’s still a good place to register. A generous completion discount: Pottery Barn offers customers a really generous completion discount. 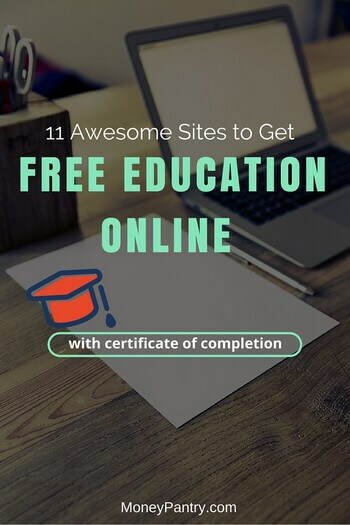 In fact, it’s one of the most generous completion discounts on the list. The store will give you 20% off items left in your registry. This is double the discount offered by Buy Buy Baby and Babies R’ Us. The items are high quality: What really sets Pottery Barn apart from others on this list is the fact that the quality and standard of its products is pretty high. All of its furniture is GREENGUARD Gold Certified too. A discount when you buy more than one item: A unique perk that Pottery Barn offers is a discount when you purchase two or more of the same product. When you purchase two or more of the same nursery furniture or bedding, you get 10% off. Not as wide a range of products available: Pottery Barn is great for big items, like cribs, storage, and even a few essential and practical items, like diaper bags and blankets, the range of baby and infant items at Pottery Barn is not as extensive as that offered by other retailers, like Target and Amazon.com. Prices tend to be more expensive: Overall, items at Pottery Barn tend to be on the more expensive side. Can’t decide where to register? Sometimes one store may not have all the times on your list. 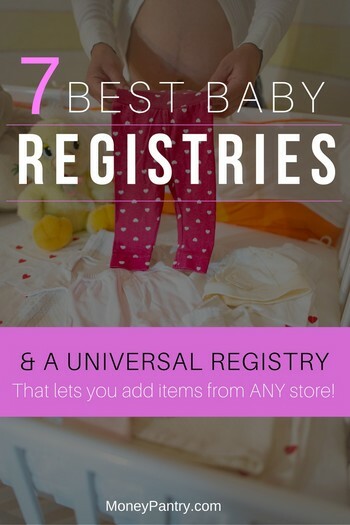 So instead of creating registries with a few different stores, you can use a registry like Babylist to create a sort of universal baby registry that lets you add items from any store you want. Unlike Target, and many of the other places on this list, Babylist isn’t just a retailer. It’s a universal registry service, too. Entirely free to use, Babylist allows you to add items to your registry from any store – big or small, little known or popular. You really can add items from pretty much any store online. And, you can also add more personal, meaningful gifts that you won’t find in-store, like home cooked meals for example. Alongside Amazon.com, Babylist is probably one of the best universal baby registry services out there. Plus, it also sells its own products in its online store. Create a universal list: What’s great about Babylist is that you really can add items from any store, and this is definitely the aspect of the platform that is raved about in Babylist registry reviews and forum posts. Items are automatically compiled into one, universal registry list. The problem with registering at a store like Babies R’ Us or Buy Buy Baby is that it simply might not stock an item that you want. But, with Babylist, as you can add items from anywhere, you don’t have this issue. Access your registry across multiple devices: With Babylist you can manage your registry from a range of devices, including your desktop, tablet and phone. So, you can easily manage your registry wherever you are. Get a completion discount: 60 days before your child’s arrival date, you get a one-time 10% completion discount to use on items sold by Babylist.com. Restrictive completion discount: You can only use the 10% completion discount on items that are sold by Babylist. So, if a lot of your items are from other retailers, like Target, Amazon or Etsy, then you won’t really benefit. And, as it advertises itself as a universal registry, it’s likely that most of the items in your registry will be from elsewhere. So, it’s not practical that this discount is limited to items sold by Babylist.com. Not as many perks available: On Babylist, you simply don’t get as many perks, like free shipping, free returns and cashback, as you do with other places that offer registry services, like Target, Amazon.com and Babies R’ Us. So which is the best place for a baby registry? Well, it’s really a matter of personal preference. All of the stores above offer benefits for parents who want to set up a registry. So, which place you choose to register at depends on your own particular needs and wants. For example, if you do most of your shopping offline, then you’ll want to go with a store, like Target or Walmart. On the other hand, if you like to shop online and are looking for a wide variety of items, then you might want to choose to go with Amazon. Take a look at what each store’s registry service has to offer, and review the pros and cons of each place. Then, you can decide, based on your own needs, what is the best place for you to set up your registry. Creating a registry makes keeping tracking of everything you need much easier. And, it’s also easier for friends and family to help you get the supplies you need! Deciding where to register can be tough, but so can actually building the registry. So, we’ve put together some really useful tips that will help you to get the most out of your baby registry, regardless of which store you register with. When you initially come to start adding items to your registry, it can be hard to know where to start. From wipes to wipe warmers and diapers to diaper genies, there really are so many different types of items available for newborns and infants that the choice is overwhelming. That’s why it’s a good idea to start with a small list of about 5 to 10 of your must-have items. This will likely be items like the stroller, diapers and car seats. Then, put those items on to your registry first. Once you’ve registered for your must-haves, you can continue to add items as you think of them. It’s a good idea to have a variety of price points. Sure, registering for big-ticket items is a good idea, but it’s also important to register for some smaller, less expensive products as well. This ensures that all gift-givers have an item that suits their budget and prevents them from purchasing items that aren’t in your registry. Plus, smaller, cheaper items, like diapers might not be an exciting item to register for, but you’re certainly going to need plenty of them once the baby arrives! If the retailer that you register with offers gift cards like Amazon.com does, then make sure that you include them as a registry option. Sometimes a friend or family member might be uncertain of what gift to buy, so they will definitely appreciate having the option of buying a gift card instead. Plus, you get to buy stuff for your new arrival with someone else’s cash! Many retailers allow you to send email notifications that let friends and family know that you’re registered. This email usually contains a direct link to your registry. You should certainly share your registry online. But, it’s important to share it offline too, especially for those who aren’t computer savvy or prefer to shop in-store. An easy way to do this is in your shower invites. Many places, like Babies R’ Us and Buy Buy Baby, offer registry announcement cards. So, place an announcement card into your invite. Now, everyone, whether they shop online or offline will know where to shop for you and exactly what you want. It’s important to register sooner rather than later. If you leave it too late, then you don’t give your friends and family enough time to buy things. You want to give your baby shower guests plenty of time to shop for you. Otherwise, you won’t end up getting the stuff you need by the time the baby arrives. Having a baby is a wonderful experience, but, there’s a lot to prepare for. From furnishing the nursery to making sure that your baby has everything that it’s needs for bath time, there are so many things you need to buy as an expectant parent. That’s why setting up a registry is so useful. You’ll make sure that you have everything you need. And, you save money too! So, consider the pros and cons of each of the places above, and choose the one that can potentially be the best place for your baby registry.